402 Cliffwood Hill Way Louisville KY 40206 is an eye catching stand alone townhome in a fantastic location just off of Grinstead Drive. The home offers three Bedrooms and two and a half baths. Enjoy the feel of single family living with all of the amenities of a condo home owners association including snow removal, trash, mstr insurance, exterior maintenance, and groundskeeping! The front porch entrance opens to the Family Room with recessed lighting, hardwood flooring, fireplace with gas log, and access to the relaxing back deck (2014). 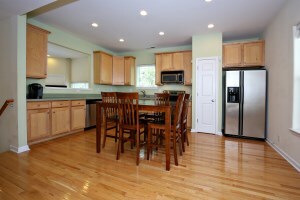 The Kitchen offers recessed lighting, comfortable dining area, abundant cabinetry, and hardwood flooring. 402 Cliffwood Hill Way Louisville KY 40206 has a first floor Master Bedroom with Master Bath that features walk in shower, long vanity, and ceramic tile flooring. The Laundry Room is conveniently positioned in the Master Closet. A Half Bath completes the first floor. The second level includes two spacious Bedrooms and a Full Bathroom. The home also features a one car attached garage. The water heater/thermostat was replaced in 2014. You'll love the outstanding location of this Home In Louisville within walking distance of shops & restaurants and with quick parks & expressway access. 3112 Carriage Hill Drive Louisville KY 40241 is a lovely four bedroom, two and a half bath brick home in the Creekside neighborhood. 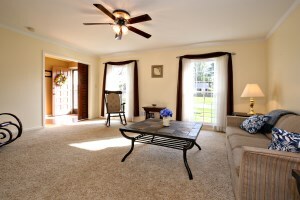 The welcoming front foyer opens to the sunlit Living Room. The Formal Dining Room showcases decorative chair rail & crown molding. 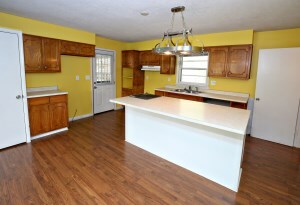 The Eat In Kitchen has a comfortable Dining Area & overlooks the Family Room (both with hardwood flooring). 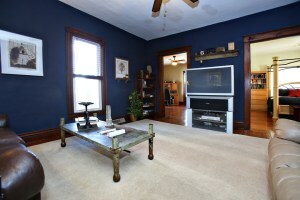 The Family Room offers a handsome floor to ceiling brick fireplace with elevated hearth. The lower level of the home also includes the Laundry Room, a Half Bath, and Bedroom. The upper floor of the home contains the Master Bedroom, Master Bath, two additional Bedrooms, and a Full Bath. All of the upper floor bedrooms have sparkling hardwood flooring. 3112 Carriage Hill Drive Louisville KY 40241 has a wonderful back yard surrounded by a wood privacy fence. You'll love relaxing on the patio & watching the fish in the Koi Pond! There is also a shed to store lawn equipment. 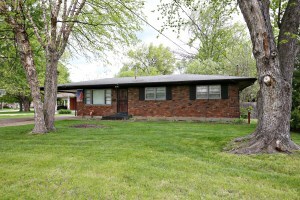 The home sits on a quiet lot on a dead end street with a 2 1/2 lower level garage. Call 502-371-1173 today to schedule an appointment to see this fine example of Louisville Real Estate or to learn more about the home. 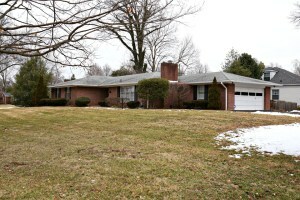 2507 Adrienne Way Louisville KY 40216 is a spacious brick ranch with three bedrooms and one and a half baths. Enter to a good sized Living Room which flows into the Eat In Kitchen with island breakfast bar & Pergo laminate flooring. A hallway with built in shelving leads to the Master Bedroom & two additional Bedrooms. The Master showcases ceiling fan, tiled wood flooring, and attached Half Bath. The first level also includes a Full Bath. 2507 Adrienne Way Louisville KY 40216 has a partially finished basement. 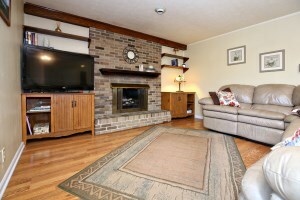 The basement level opens to the Family Room with gas fireplace. The basement also houses two additional rooms which previously served as an office & playroom. The laundry room is also located in the basement. Plenty of space to spread out! The back yard is surrounded by a full wood privacy fence and has a great patio for outdoor dining. 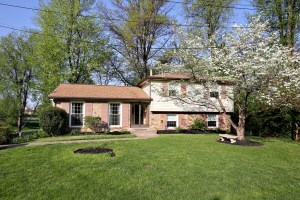 The home is positioned conveniently to expressways & Dixie Highway. This property is sold as is and requires 3rd Party Approval. 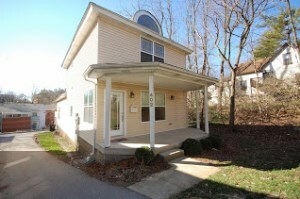 Please call 502-371-1173 for full details about this home in Louisville or to schedule a showing! At Home In Louisville Real Estate Group will be hosing THREE Open Houses in Louisville this weekend! Come out and take a tour of one or all of these lovely homes! 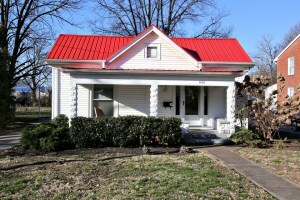 4018 Hillsboro Rd Louisville KY 40207 is a stunning 3 Bedroom Cape Cod positioned on a lovely lot in the heart of Saint Matthews! The home is beautifully updated and even offers a fourth completed room in the basement that could easily serve as another bedroom. Enter to the sunlit Living room with wood burning fireplace and hardwood flooring that flows throughout most of the first level. The Formal Dining Room with chandelier fixture is open to the Kitchen which showcases abundant cabinetry, recessed lighting, and crown molding. French Doors from the Dining Room access the screened porch. The first level of the home also includes two bedrooms with crown molding & hardwood flooring as well as a Full Bath with pedestal sink. The second level of the home is devoted entirely to the spacious Master Bedroom with sparkling hardwood floor and private Half Bath. 4018 Hillsboro Rd Louisville KY 40207 has a partially finished basement complete with Family Room, Laundry, Office, and additional Room (potential fourth bedroom). 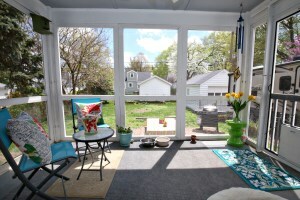 The back yard is peaceful with a relaxing screened porch, fully fenced yard, and patio. The home also features a 1 car garage. You cannot beat the spectacular location within walking and biking distance from the parks and shopping & dining options galore! To schedule a showing of this fantastic home in Louisville, call 502-371-1173. 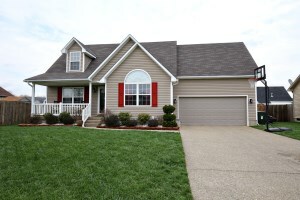 128 Pagoda Ct Shepherdsville KY 40165 is a lovely three Bedroom, two Bathroom Cape Cod in the Lakes of Dogwood subdivision in Shepherdsville. The home sits on a cul-de-sac lot and offers a two car attached garage. You'll love the welcoming front porch & Living Room with newer flooring, palladium window, and white trim. 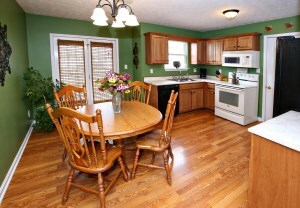 The Eat In Kitchen is spacious with comfortable dining area & plentiful cabinetry. The Master Bedroom & Master Bath are conveniently positioned on the first floor. A Laundry Room rounds out the first level. Upstairs you'll find two large Bedrooms & a Full Bath, along with a large Bonus Room with recessed lighting & vaulted ceiling. 128 Pagoda Ct Shepherdsville KY 40165 has a wonderful back yard with full wood privacy fence, patio, firepit, and deck for outdoor entertaining! At Home In Louisville Real Estate Group will be hosting an Open House this Sunday April 19th from 2:00-4:00pm at this wonderful newly listed home in St Matthews! Don't miss it! Call 502-371-1173 for more information or browse our website to explore a comprehensive list of Open Houses in Louisville this weekend! 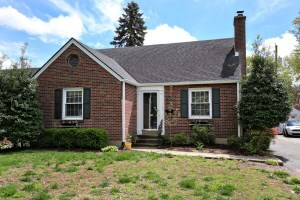 4030 Crawford Ave Louisville KY 40218 is a beautifully maintained & move in ready ranch style home. 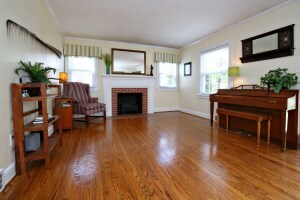 The home offers lovely hardwood flooring throughout most of the home. 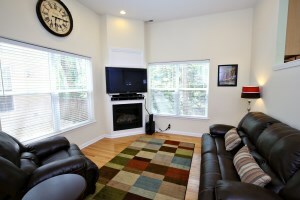 The Living Room is spacious with a ceiling fan & plenty of natural light. 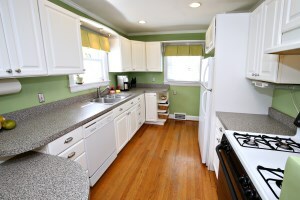 The Kitchen is sunny with abundant cabinetry. 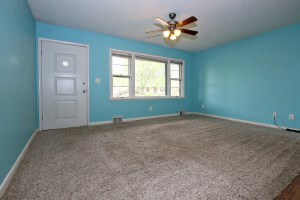 You'll love the 2 good sized Bedrooms with newly finished drywall in the closets & ceiling fans. The main bedroom has newer double doors. The Full Bath inlcudes updated linen closet with a new door, a pedestal sink, and shower. The Laundry is located on the enclosed porch. 4030 Crawford Ave Louisville KY 40218 offers lots of storage space in the attic with stair access as well as in the unfinished basement. The home has two relaxing porches on the front and side of the home. Sit in the porch swing and relax with a glass of lemonade this summer! The main yard is fully fenced- perfect for outdoor entertainment & games. There is also an additional lot that goes with the property which is unfenced. Parking is convenient in the 2 1/2 car detached garage. An energy efficient metal roof was installed in 2013. 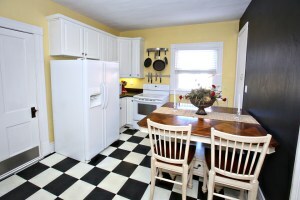 Enjoy quick access to shopping & dining along Bardstown Rd as well as close proximity to the YMCA. Call 502-371-1173 today to set up your showing of this fantastic home in Louisville!